TriMet board chair Bruce Warner made a surprising admission near the end of last week's directors meeting. Speaking after a presentation on ridership trends, Warner said the board and agency did not fully understand how successful the region's growth management plans have been — or all the effects they have been having on the transit agency's service. "Land use planning and the concentration of densities have had an impact we haven't thought about," Warner said. Warner was reacting to a presentation by public affairs director Bernie Bottomly that overall transit ridership has declined slightly in recent years because of demographic changes within Multnomah, Clackamas and Washington counties. Bottomly said while MAX ridership was relatively stable, rush hour bus trips had declined 9 percent since 2009, with the biggest drops during non-commute hours. Bottomly said that while many factors contributed to the decline, the biggest were gentrification in Portland and the growth of urban centers both inside and outside of the city. Put simply, the newest residents in Portland's inner neighborhoods don't ride buses as often as the former residents who have been displaced to East Portland, Gresham, and parts of Clackamas County. And the creation of self-sufficient walkable neighborhoods has reduced the need for bus trips even more. "Long-term changes have caused long-term changes in our system, and we need to figure out how to adapt to it," Bottomly said. Industrial Park, where Amazon is building one of three new warehouses in the area. "The good news is, Amazon is creating 4,500 new jobs. The bad news is, they're in industrial areas that are hard to serve," Bottomly said. But the effects of urban centers outside downtown — including such vibrant areas as the Mississippi neighborhood in Northeast Portland and Orenco Station in Hillsboro — should have been foreseen. They are a goal of state, regional and local land use plans, including the 2040 Growth Concept adopted by Metro, the elected regional government. As Bottomly explained, when TriMet's bus and rail lines were originally designed, downtown was the regional destination for workers and those looking for unique stores or a night on the town. But now, employment, retail and entertainment opportunities are flourishing throughout the region, including many locations not well served by transit. That helps explain why midday, weekend and other "off peak" bus trips are down so much, Bottomly said. In fact, based on available data, those changes are much more responsible for the bus ridership decline than other, more obvious factors, such as unemployment, lower gas prices, safety concerns, or service delays caused by mechanical or other problems. Comparing those factors to ridership changes since 2001 showed only minor or temporary correlations. Even ending Fareless Square and sharply raising fares to generate more revenue during the Great Recession did not significantly change ridership trends, Bottomly said. Bottomly recommended multiple strategies to reverse the decline in bus ridership and boost overall transit use. 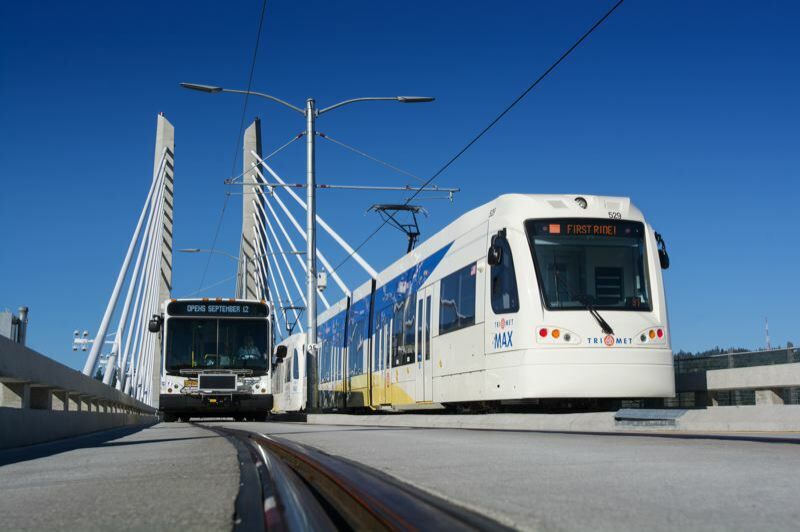 They include adding service between lower cost housing and employment centers, improving on-time-performance, more customer research and marketing, and integrating emerging technologies, including ride and bike share services and TriMet new Hop Fare passes. Board member Craig Prosser said the directors will use the ridership analysis in the future to ensure all proposed service expansions meet the needs identified in it.